Mohammad Javad Zarif says Trump's pledge of support for Saudi Arabia is "shameful", claims he blames Iran for anything he can think of. Iranian Foreign Minister Mohammad Javad Zarif on Tuesday blasted US President Donald Trump’s pledge of support for Saudi Arabia despite the murder of journalist Jamal Khashoggi in the Saudi consulate in Istanbul, Reuters reported. “Perhaps we’re also responsible for the California fires, because we didn’t help rake the forests— just like the Finns do?” he added, in a reference to Trump’s comments when visiting the scene of California’s devastating Camp Fire on Saturday, when he said Finland had managed to avoid such fires by spending “a lot of time on raking and cleaning and doing things” to clear forest floors. Iran and Saudi Arabia are regional rivals which back opposing sides in the wars in Yemen and Syria, where the Iranian regime supports President Bashar Al-Assad while the Saudis back the rebels trying to oust him. Iran has upped its anti-US rhetoric in recent months, ever since Trump withdrew from the 2015 nuclear deal and reimposed sanctions on Iran that were frozen when that deal was signed. Much of the criticism has come from Zarif himself. Earlier this month, the Iranian foreign minister took to YouTube, where he posted a message in English and Persian in which he dismissed the new US sanctions against his country. 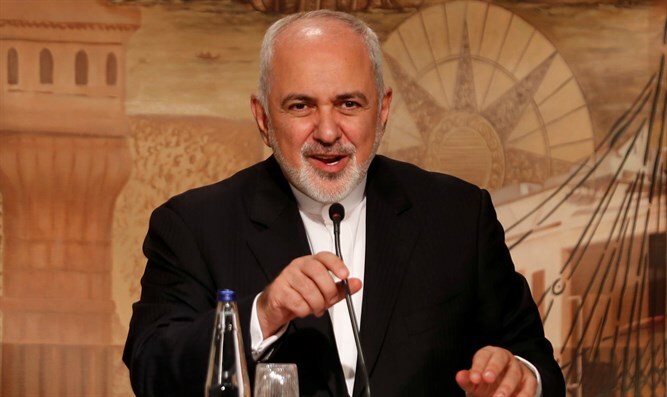 “The US is better off addressing the catastrophes and crises it has engineered in our region,” continued Zarif, who claimed, among other things, that the US created the Al-Qaeda terrorist organization to fight the Soviets. Zarif has shrugged off the US sanctions against the Islamic Republic, saying Washington will fail to achieve its goals by imposing new bans on Iran. He has also blasted the United States as an “outlaw regime” after Secretary of State Mike Pompeo announced the US is withdrawing from the 1955 Treaty of Amity with Iran, which was signed before the 1979 revolution overthrew the US-backed Shah.